Contact our Rome office, for appraisals of ancient or modern coins and medals. 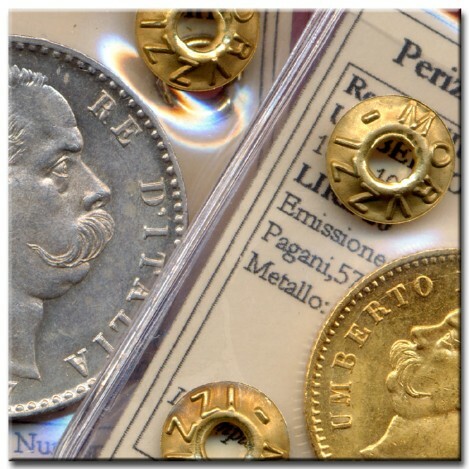 The numismatic studio of Umberto Moruzzi, expert accredited to the Chamber of Commerce and of the Rome Tribunal, issues sealed certificates and cataloguing for the authenticity of coins and banknotes. On this page there is lists of our appraisal services, which have exhaustive registration facilities in order to examine and identify single pieces with a view to certification and cataloguing together with images of high resolution. With a coin certified by Umberto Moruzzi it will be possible to easily identify single pieces or entire collections.